If you are like me you have random spray paint cans all over your shop. I used random scrap plywood and MDF since its just a shop project and to keep me from having to buy and materials. I started by ripping the two side to width and figuring out how wide to make the shelves. 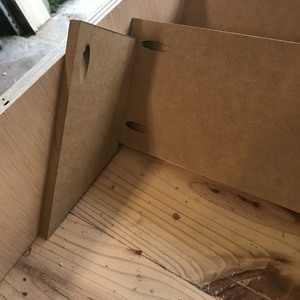 After getting the shelves cut to size I added pocket holes to each end with my KreJig K4. 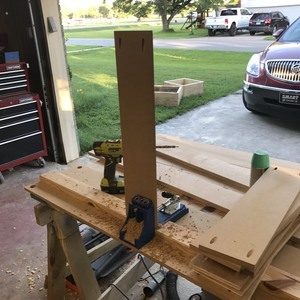 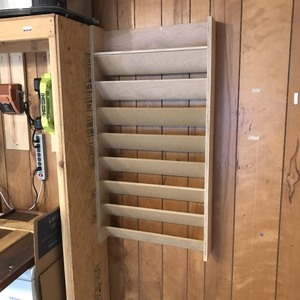 To help align the shelves and provide proper spacing I made a quick jig from a cutoff. 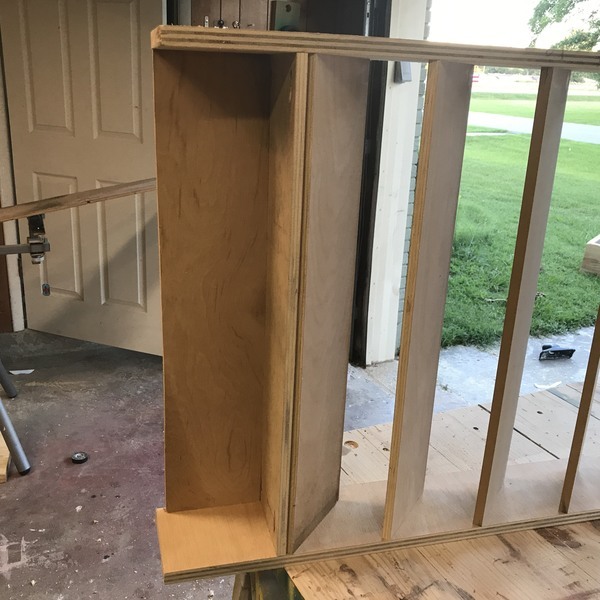 After I had the angles shelves attached I added one more to the top, but this one is flat so I can stack things on top if needed. 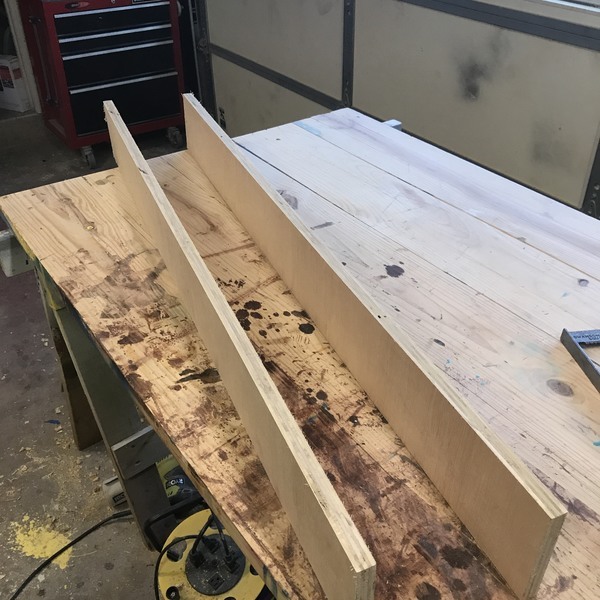 I also added a ledger board across the back at the top so I would have a place to screw it to the wall. 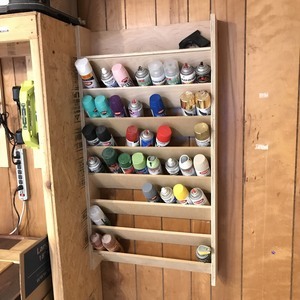 Once it was hung all I had to do was find all my paint and load the new organizer up. 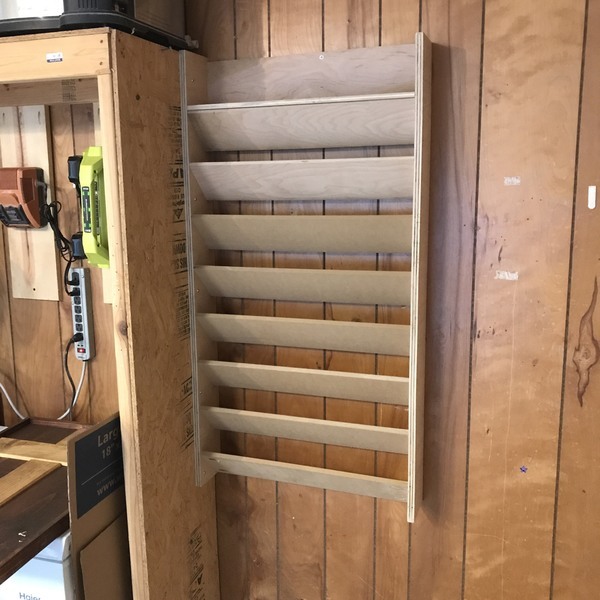 Thanks for taking the time to look at my project. Follow us on Instagram at CraftSmiths_Homemade for more?